Since it was a good day, I thought I would share a quick and easy appetizer that would be great for Thanksgiving and all the other upcoming holidays. To make these stuffed mushrooms, all you need is Alouette Spinach Artichoke spreadable cheese, and breadcrumbs. This is not a sponsored post for Alouette, we just really like this recipe! 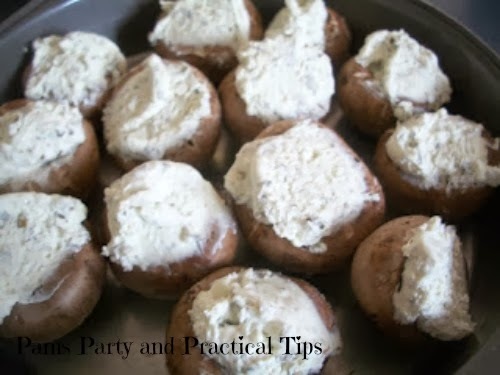 Fill your mushroom caps with the Spinach Artichoke cheese. 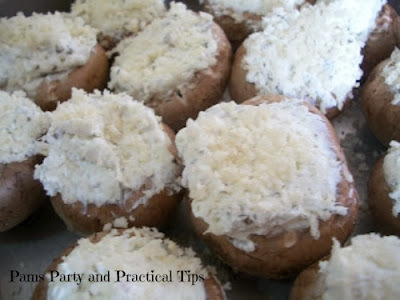 Cover with breadcrumbs and bake for 12-15 minutes at 375 degrees. It's that simple! I already have requests to make them again this year.